You are here: Home / 2016 / Happy New Year 2016 from Mindjammer Press! 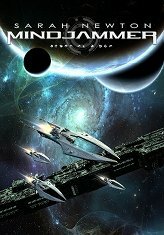 Happy New Year 2016 from Mindjammer Press! We’d like to wish you all a Happy New Year from all of us here at Mindjammer Press. May 2016 be a happy, healthy, and prosperous one for you all! Thank you for your support, custom, friendship, and encouragement over the past year – and your awesome backing in the Mindjammer Kickstarter which brought the year to an amazing close. We’re looking forward to working hard for you in 2016 to bring you all manner of great roleplaying game and fiction material, including of course the many books and supplements you enabled us to unlock as part of the Kickstarter. Expect those coming your way beginning later this month and continuing throughout the year. Beyond that we’ve got some amazing other projects in store, including – at last! – the Chronicles of Future Earth RPG, and also a brand new fantasy setting! We hope you’ll join us as we continue to explore these exciting new worlds of adventure and imagination! « The Mindjammer Kickstarter – Final Week!